I recently learned that despite organizations’ enthusiasm about Artificial Intelligence (AI), relatively few organizations are pro-actively putting AI programs into motion. 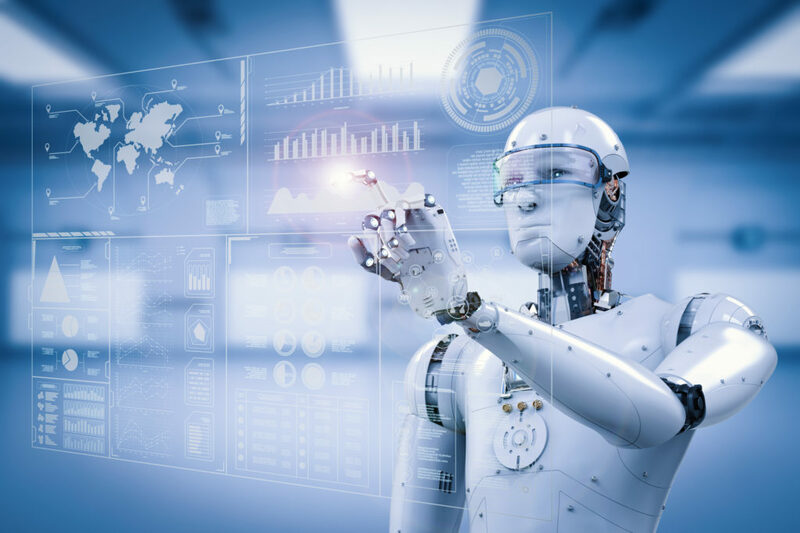 In fact, a new report suggests that despite the exuberance among executives, only 20% of companies have extensively implemented AI into their business operations. The survey, conducted by the Boston Consulting Group and MIT Sloan, found that out of the 3,000 executives interviewed, approximately 75% of executives believe AI will enable them to move into new lines of business, and 85% said it will help them “obtain and sustain a competitive advantage.” So organizations are, in fact, extremely excited about the possibilities of AI. However, less than 40% of companies even have an AI strategy in place, and among the largest companies—those with more than 100,000 employees—only half have even developed a strategy. Why is there such a disparity between enthusiasm and planning? It would appear that despite the promises of AI, most companies are finding certain aspects of implementing AI in their business challenging—even to a small degree. This might seem shocking to some industry watchers, given that there has been a 300% increase in the past five years in investment in AI, according to a report from McKinsey. Global tech giants like Google and Baidu spent between $20 and $30 billion in 2016, with most of that going to R&D costs, while approximately $6 to $9 billion has flowed into startups from VC investment, private equity investment, grants, and similar sources. Those figures seem significant—and they are—but we are still far from widespread adoption across industries. And that’s the point here: It’s time to stop being an industry watcher and start being an industry player. To do so, businesses need to dive head first into AI. There are a variety of reasons why so many organizations have yet to consider an AI strategy and implementation. Like many business problems, the challenges faced are both technological as well as human in nature. When organizations do software development, they typically follow a fine-tuned and proven process that leads to an expected result. That process usually includes planning, designing, building, testing, and deploying to varying degrees. However, with AI, there might be a desired result, but the path there is not as clearly defined. Development in AI means creating a system where the software trains itself. To that end, the development cycle is often less linear and more experimental, and companies wishing to take advantage of AI need to ensure there is room for experimentation. In order for an AI to be truly valuable to an organization, it needs to learn. And the only way for it to learn is to process huge quantities of high-quality data. The more data it can analyze and the better the quality, the more accurate the results are going to be. This is far more data than human analysts have typically dealt with in traditional business intelligence practices; we’re not talking a few spreadsheets here, we’re talking multiple encyclopedias’ worth of data. How much data is needed exactly? That’s precisely the challenge. Moreover, it’s essential to feed an AI data that is broad and balanced, so as to avoid any unintentional biases in its output. The use of AI in business is still highly experimental, and the outcome of applying an AI to a business problem is still incredibly unpredictable. That makes actually measuring the ROI on AI somewhat difficult. While there are some very good case studies and anecdotes available that clearly suggest AI will have a large impact on business, the full extent of this impact is hard to predict at this time. Organizations wanting to deploy AI in their operations need to develop a tolerance for experimentation, while also building their internal teams and skill sets towards mastering this new technology. Despite the challenges of developing an AI strategy, the future for organizations using AI is bright. But only if they start thinking about their AI strategy now. To do that, organizations need visionaries and leaders who can not only identify the opportunity, ut also corral the data and human resources needed to develop and deploy a successful AI strategy. But the focus should be not only on the technology itself, but also on the desired outcomes. That could mean anything from improving and personalizing customer experiences, to increasing production efficiencies, to designing a better widget, to optimizing decisions and actions. In other words, the value of AI will be based on how well businesses can apply AI to identify and solve real-world problems. With the right combination of vision, strategy, and execution, smart businesses can learn how to best leverage this rapidly growing technology, gain a competitive advantage, and set their firms up for success in the long-term future.